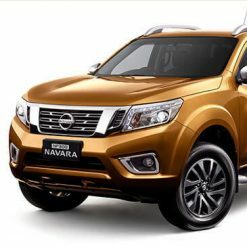 View cart “FULL-BACK Front Seat Covers + Map Pockets for Nissan Navara D40 (NN07-FB)” has been added to your cart. 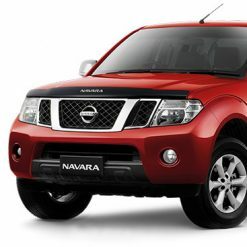 Looking for a car seat cover for your Nissan Navara D40? 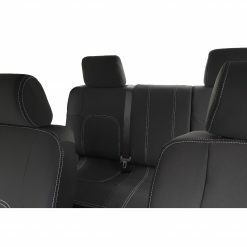 Here at Dingo Trails™, our custom fit neoprene car seat covers are designed to keep up with you and your lifestyle. 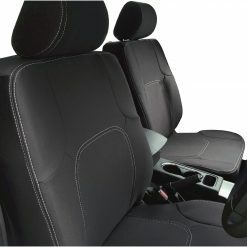 For well-designed, durable car seat covers that fit like a glove, are easy to fit and protect your car, check out our range today! Not all car seat covers are created equal. 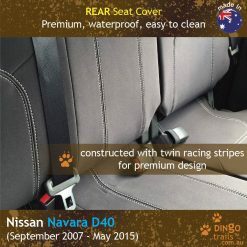 At Dingo Trails™, we work hard to provide you with top quality car seat covers for your Nissan Navara D40. 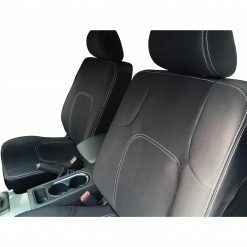 Our car seat covers are manufactured with premium automotive-grade neoprene for a superior custom fit and excellent craftsmanship. And best of all, we’re proudly Australian made! 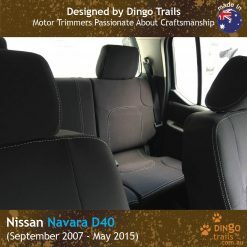 Dingo Trails™ is committed to making the best tailor-made car seat covers for your vehicle so when you purchase our car seat covers for your Nissan Navara D40, you know that you’re getting a top quality product that has been designed and manufactured by motor trimmers who are passionate about what they do. 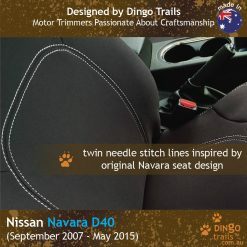 Why choose Dingo Trails™ Nissan Navara D40 neoprene car seat covers? The only neoprene seat cover with seam lines inspired by original D40 design.